Jeremiah is blunt, exposing our need to distinguish good from evil and act in a way that does not exclude the possibility of healing. Tophet if you prefer it as a name to Timbrel. Two terms here could be associated with homonyms suggesting music, תף and נבל, corpse. Places like this are where the fundies put down music. More foolishness (נבל) for them. כֹּֽה־אָמַר֩ יְהוָ֨ה צְבָא֜וֹת אֱלֹהֵ֣י יִשְׂרָאֵ֗ל הִנְנִ֨י מֵבִ֤יא רָעָה֙ עַל־הַמָּק֣וֹם הַזֶּ֔ה אֲשֶׁ֥ר כָּל־שֹׁמְעָ֖הּ תִּצַּ֥לְנָה אָזְנָֽיו 3 And you say, Hear the word of Yahweh, kings of Judah and inhabitants of Jerusalem. כֹּ֚ל עֹבֵ֣ר עָלֶ֔יהָ יִשֹּׁ֥ם וְיִשְׁרֹ֖ק עַל־כָּל־מַכֹּתֶֽהָ 8 And I will set up this city, a desolation and a hissing. וְלָתֵ֛ת אֶת־הָעִ֥יר הַזֹּ֖את כְּתֹֽפֶת 12 So I will do to this place, an oracle of Yahweh, and to its inhabitants. Sorry about the vertically aligned headings for short columns. Blogger has changed something and I don't imagine I have an easy fix for past work. Future work will specify a width in the style. Blogger is currently taking whole words and numbers and turning them into vertical strings of 1 character width in a table column. Maybe they will fix it. I sent the feedback. Sometimes it is curious to begin at the beginning. Deuteronomy was the book that a former teacher of mine, Peter Craigie, focused on. I cannot think about that book without remembering Prof. Craigie. I learned too little from him. What a great story teller he was and how he so easily undermined one's own prejudices. I can still remember his story of the confrontation of a Sunday morning walker with a strict pastor on the hills of Scotland. I recall his brogue but cannot imitate it. The issue was 'too much walking on the Sabbath'. And the response from the walker was, there are many things that the Laird and I agree on, but here we differ. I am leaving in the column for first note (Fn) when it is not the default. Then you know at least two notes in every verse that has a rest, the first and the rest note (at the 'carriage' return - now there's an archaism). This is a very unhappy chapter, recalling failure in the face of the success to be found in the next generation. What constitutes faith? When is this God with us? And how do we avoid triumphalism? בֹּ֚אוּ וּרְשׁ֣וּ אֶת־הָאָ֔רֶץ אֲשֶׁ֣ר נִשְׁבַּ֣ע יְ֠הוָה לַאֲבֹ֨תֵיכֶ֜ם לְאַבְרָהָ֨ם לְיִצְחָ֤ק וּֽלְיַעֲקֹב֙ לָתֵ֣ת לָהֶ֔ם וּלְזַרְעָ֖ם אַחֲרֵיהֶֽם 8 See, I yield before you the land. עֲלֵ֣ה רֵ֗שׁ כַּאֲשֶׁר֩ דִּבֶּ֨ר יְהוָ֜ה אֱלֹהֵ֤י אֲבֹתֶ֙יךָ֙ לָ֔ךְ אַל־תִּירָ֖א וְאַל־תֵּחָֽת 21 ~ See, Yahweh your God has given before you the land. וַתַּמְר֕וּ אֶת־פִּ֥י יְהוָ֖ה אֱלֹהֵיכֶֽם 26 And you would not consent to go up. אֹת֣וֹ חַזֵּ֔ק כִּי־ה֖וּא יַנְחִלֶ֥נָּה אֶת־יִשְׂרָאֵֽל 38 Joshua child of Nun, the one standing before you, he himself will enter there. וַֽתַּחְגְּר֗וּ אִ֚ישׁ אֶת־כְּלֵ֣י מִלְחַמְתּ֔וֹ וַתָּהִ֖ינוּ לַעֲלֹ֥ת הָהָֽרָה 41 And you answered and you said to me, We have sinned against Yahweh. We ourselves will go up and we will fight all that Yahweh our God has commanded us. וַתַּמְרוּ֙ אֶת־פִּ֣י יְהוָ֔ה וַתָּזִ֖דוּ וַתַּעֲל֥וּ הָהָֽרָה 43 And I spoke to you, and you did not hear. Most verses begin on the tonic. But sometimes not. The three books of poetry (Psalms, Job, and Proverbs) use different opening notes more often than the 21. When the first note of a verse is not the default tonic or home note (e), the music indicates that the verse is somehow related to what has come before it. The nature of the relationship is not specific. We the reader / singer must decide how the opening relates to what has been already. Here is the graph comparing the two cantilation schemes. When you see a ~, it indicates an ornament on the first note. The notes of the scale are c, d, e, f, g, A, B, C. The f is sharpened in the three books. In the 3 books, the tonic is preferred 70% of the time. In the 21 books, it is 88%. The 3 books have a decided preference for opening on g - nearly half of the remaining 30% of the verses. Verses using the scheme of the 21 books (including the narrator verses in Job) never open on a c or a d. And the 21 book scheme has a slightly higher percentage of openings on a high note, B or C.
Lest all this seem purely theoretical, the last 5 psalms are clearly connected as a group of psalms of praise, the final doxology. Psalms 147 to 150 all begin on an f# clearly linking all these psalms into a unit. The first note of the Psalter is f#. There are only four books of the Bible that do not begin on the tonic e: Psalms, Proverbs, Job, and Deuteronomy. Each of these books thus bears a special relationship with all that comes before it. The three books, Psalms, Proverbs, and Job are key to understanding the canonical history and prophecy. 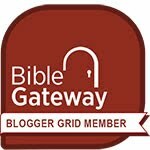 Deuteronomy is similarly a commentary on the first 4 books of the Bible. The high note that begins Psalm 1, verse 2 contrasts the negatives of verse 1 with the joy of the instruction that is from Yahweh. The opening note of Psalm 2 is g, again showing that this psalm continues the prior psalm. Verse 5 has a dramatic opening linked to verse 4. Verses 6, 9 and 10 reinforce the separation of speaker from verses 7 and 8. This is new information. I doubt that anyone has reported this result in the literature of the last 1000 years, because no one else uses music for such analysis. The music is encoded into the text via accents which are abbreviated hand-signals. For more understanding of how this is done and what impact it can have on interpretation, see my introductory book on the music of the Bible, The Song in the Night. In it there are hundreds of examples telling the story of the Bible in music. וּ֝לְאֻמִּ֗ים יֶהְגּוּ־רִֽיק 1 g Why such a throng of nations? and kiss good-bye to their cords. אֲ֝דֹנָ֗י יִלְעַג־לָֽמוֹ 4 The one sitting in the heavens, he laughs. on Zion, my holy hill. אֲ֝נִ֗י הַיּ֥וֹם יְלִדְתִּֽיךָ 7 I will recount the decree. Yahweh promised to me: You are my son. כִּכְלִ֖י יוֹצֵ֣ר תְּנַפְּצֵֽם 9 g You will injure them with an iron sceptre. Like fashioned vessels, you will smash them. הִ֝וָּסְר֗וּ שֹׁ֣פְטֵי אָֽרֶץ 10 g So now, you sovereigns, let there be insight. This was an interesting journey by way of deciding how to render certain words that are to my mind quite confusing in traditional renderings. I was never quite sure what tent, tabernacle, etc is being referred to in some situations. (And I still am uncertain because we have not done much of the prior 39 chapters yet.) But one thing I have noticed is that Yahweh seeks to dwell with the people, so I decided not to use tabernacle (since this confuses the term with booth and the feast of 'tabernacles') but rather dwelling-place, since this root is not connected to סכך (booth) bur to שׁכן (to dwell). I also note here that נתן (give) is used for all sorts of actions by Moses in erecting the various pieces of the tent and its related equipment. I suspect that several different groups of people over the centuries have wrestled with translating the Hebrew text of the Bible and have come up with some workable glossary / dictionary of roots and the words that are 'derived' from them. Which one is the least distracting? Which is one that will give the least bias to my choices of gloss? I do not actually have one, but many, in book form, and my own strangely evolving set of tables, roughly designed, behind my framework. עוד any longer, any more, attestation, been witness, before, before past, continue, ever, further, indeed, longer, more, never, persistent, relieve, since, still, testify, while. It is clear from this list that there are two or more distinct homonyms here and that sometimes עוד seems sometimes a plene spelling of the shorter עד. Any of these four words may appear as the two letters ayin+daleth. The short answer that made me do this analysis is in verse 20: that the testimony (of the 2 tables of the law) is in the ark (verse 20). Psalm 119 is right to show love for this holy light on our situation. Only the last verse has a beginning note that is not the default tonic. Verses 1 and 28 lack the atnah. וְ֠הָיְתָה לִהְיֹ֨ת לָהֶ֧ם מָשְׁחָתָ֛ם לִכְהֻנַּ֥ת עוֹלָ֖ם לְדֹרֹתָֽם 15 And you will anoint them as you anointed their father, and they will serve as priests for me. כְּ֠כֹל אֲשֶׁ֨ר צִוָּ֧ה יְהוָ֛ה אֹת֖וֹ כֵּ֥ן עָשָֽׂה 16 And Moses did. Every verse of Judges begins on the tonic. (Just checking). Judges 2 was high up on my list of half completed chapters, so I took it. Judges is not one of my favorite books. O well. Gotta do them all. Never know what you might find. The messenger (angel) of Yahweh sounds like Yahweh in that the covenant is 'my covenant' and the commands and descriptions are in a voice that is as if from Yahweh. I find the grammar and composition rough in the Hebrew of this section. E.g. singular and plural for noun and pronoun are not in agreement in verse 22. It's odd that the plural pronoun them should have a singular way as its antecedent. The use of forsake with respect to Joshua is odd, but I did not smooth it out or use 'left' since a different root that I gloss as left i.e. left over is used 2 verses further on. Perhaps it 'means' those nations that Joshua gave up on or failed to dispossess. And perhaps not. Perhaps Joshua as type or antetype is not meant to do a complete job in that sense. Perhaps the proving of the nation is important. Can we, in fact, remember what we were taught? Our enemies are present with us, at our sides, cheek by jowl, (whether thorns or not). Will we mature? Bokim means Weeping. Verses 1 to 5 are bound by it, but the binding seems awkward, as if the collator was combining sources. So also the idea that the conquest of the land was incomplete and partial is repeated in chapters 1 and 2 several times, but not with any apparent structural purpose. It is 'non-literary' Hebrew so the reading in English is also even more awkward than my usual. וְלֹֽא־שְׁמַעְתֶּ֥ם בְּקֹלִ֖י מַה־זֹּ֥את עֲשִׂיתֶֽם 2 And you, you will not cut a covenant for the inhabitants of this land. Their altars you will break down. סָ֣רוּ מַהֵ֗ר מִן־הַדֶּ֜רֶךְ אֲשֶׁ֨ר הָלְכ֧וּ אֲבוֹתָ֛ם לִשְׁמֹ֥עַ מִצְוֺת־יְהוָ֖ה לֹא־עָ֥שׂוּ כֵֽן 17 But even to those judging them, they would not hear, because they played the harlot after other gods, and prostrated themselves to them. לֹ֤א הִפִּ֙ילוּ֙ מִמַּ֣עַלְלֵיהֶ֔ם וּמִדַּרְכָּ֖ם הַקָּשָֽׁה 19 And it happened when the judge had died, they turned and impaired themselves more than their ancestors, by walking after other gods to serve them and to prostrate themselves to them. הֲשֹׁמְרִ֣ים הֵם֩ אֶת־דֶּ֨רֶךְ יְהוָ֜ה לָלֶ֣כֶת בָּ֗ם כַּאֲשֶׁ֛ר שָׁמְר֥וּ אֲבוֹתָ֖ם אִם־לֹֽא 22 So that Israel may be proven with them.